A COMMERCIAL vehicle dealer has been fined after an agency worker lost his leg from the knee down when an oil drum he was cutting up exploded. Reading Magistrates’ Court heard how on 5 January 2017, an employee of Rygor Commercials Limited was injured at Unit 13, Hambridge Business Park, Newbury, when he used oxy-acetylene gas cutting equipment to cut up empty oil drums. As the flame from this gas cutting equipment came into contact with the drum, the flammable vapours inside the drum ignited, and the drum exploded. The impact of the explosion resulted in the drum lid hitting the employee’s lower right leg and the main body of the drum landed approximately 20 metres away. An investigation by the Health and Safety Executive (HSE) found that the company had failed to provide a safe system of work to dispose of the stockpile of empty oil drums. 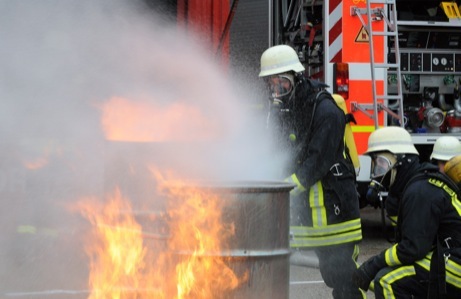 The risk of fire and explosion from flammable vapour residues in the empty drums was not identified and safer disposal options were not secured. The investigation also found the company failed to provide adequate instruction, supervision and training on the risks associated with the use of oxy-acetylene gas equipment. Rygor Commercials Limited of The Broadway, West Wilts. Trading Estate, Westbury, pleaded guilty to breaching Section 2(1) of the Health and Safety at Work Act 1974 and Regulation 5 of the Dangerous Substances and Explosives Atmospheres Regulations 2002 and have been fined £400,000 and ordered to pay costs of £9671.55.